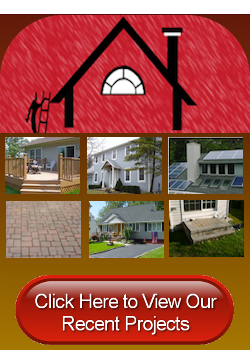 Established in 2008, Campbell’s Construction is a local New Jersey remodeling company that has serviced Piscataway residents for almost a decade now. We offer a wide variety of services to meet any and all of your home- or business-improvement needs, including exterior renovation and construction work like deck building, installing paver patios, roofing, vinyl siding and more. Not only do we offer a variety of construction and remodeling services but we also offer the highest-quality version of that service. Home improvement shouldn’t just look great; it should withstand the test of time. A poorly installed roof or siding can result in water damage, which could snowball into a variety of other expensive problems. If you are looking for a professional construction and remodeling company in New Jersey, don’t settle for anything less than the top-quality experts at Campbell’s Construction. 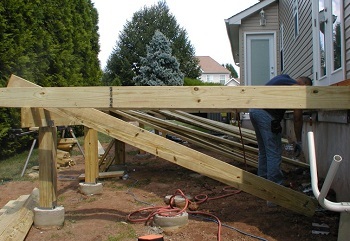 One of our specialties as local New Jersey remodeling contractors is building decks. We pride ourselves on building and renovating decks that are made to last. We don’t scrimp on materials or care, so you can rely on your new or like-new deck to look beautiful for many years to come. Here at Campbell’s Construction, we don’t believe in short-changing you on quality. Don’t settle for decks built by people who don’t concern themselves with the quality of your deck 10 or even 20 years from now. Rely on your construction experts at Campbell’s for a deck that will be around for many years to come. Decks are not the only service that we provide with only the highest-quality care. EVERYTHING we do we do with care. We don’t scrimp on materials, and we don’t give you slapdash work. We want you to enjoy beautiful, resilient upgrades for many years to come. Your home or business is important to you. Don’t let anyone renovate or add to it if it’s well-being is not important to them. Here at Campbell’s, we treat your property as though it were our own, and we give it the same regard and care that we would give our own homes or businesses. And for that reason, you can rely on the experts at Campbell’s Construction to give you the best quality of work possible. 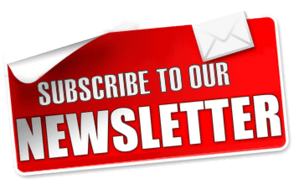 If you would like to know more about Campbell’s Construction, your local New Jersey remodeling company, please call 732-623-9790 or complete our online request form.